The lead objective of the ReCaREDD project (Reinforcement of Capacities for REDD+) is to enhance the capacity of institutions in tropical partner countries to report on forest degradation, in a reliable and cost‐efficient manner. This project will use the best available science and knowledge to develop, jointly with partner countries, techniques for forest monitoring and to strengthen national capacities to report on REDD+ challenging activities, such as forest degradation and forest regrowth. 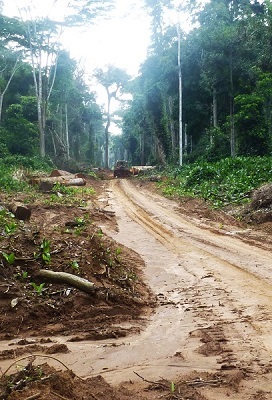 The quantification of forest degradation is of key importance for many tropical countries that have deployed sustainable forest management practices on their territory. 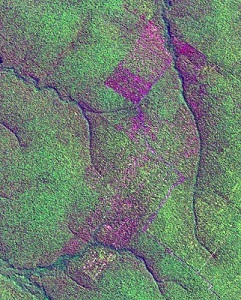 Not all kind of forest degradation can be detected by remote sensing methods. 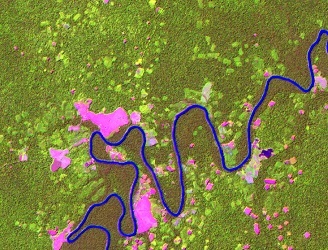 Optimal approaches and methodologies for monitoring forest degradation are likely to vary depending on the type and location of the degradation as well as of forest types concerned. 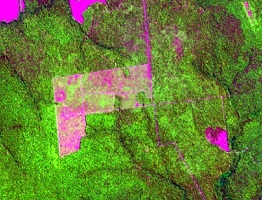 The choice of method is also depending on the spatial resolution (typically varying between 1-30 m for degradation monitoring) and the temporal frequency of image acquisition of the specific satellite system. The long-term objective of ReCaREDD is to improve the sustainable management of tropical forest resources in selected developing countries and ultimately to reduce the climate vulnerability of local populations. The ReCaREDD project carries out activities within the three tropical regions, namely Sub-Saharan Africa, Continental Southeast Asia and South America. 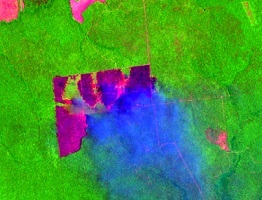 In each of the regions methodologies are developed and tested with partners in selected countries (“focus countries”) for the mapping and monitoring of disturbed/degraded forests through the use of remote sensing imagery, in particular from the recent Sentinel-2 satellite from the European Union Copernicus programme. Institutions from other tropical countries are welcomed to access methodologies and forest monitoring tools developed by the project, as well as to contribute and participate in workshops organized by the project (‘Associated Countries’). Associated countries include presently: countries of the IGAD region (East Africa), Cote d’Ivoire, Moçambique, Colombia, Myanmar and Thailand. The second pillar of the ReCaREDD project is the reinforcement of the OFAC, the regional Observatory of Forests in Central Africa, and the establishment of a prototype of regional forest observatories in East Africa and in continental Southeast Asia. 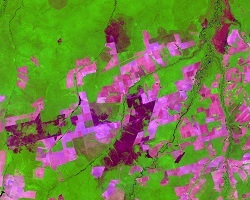 From a technical perspective, methods for extracting information related to tropical forest degradation from satellite imagery can be coarsely grouped into pixel based vs. segmentation based approaches, with varying levels of possible automation. Generally, regardless of the technical choices, the aim is to detect signs of degradation in the remotely sensed data utilizing various indicators. These indicators include e.g. 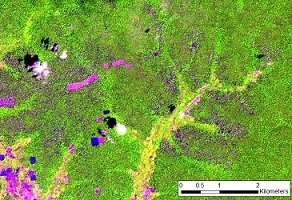 gaps in the forest canopy, intensity of soil or senescent vegetation reflectance within forest area, fraction of forest canopy and variation of textural features between forest segments. 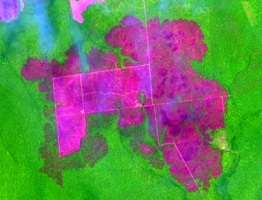 The indicators may be analyzed either on a single remote sensing scene (image), or with change detection techniques taking advantage of a temporal series of satellite images. Finally, buffering approaches have been used in large scale studies taking advantage of road, village and waterway databases by assuming certain levels of degradation as a function of the distance to a given feature (e.g. road). 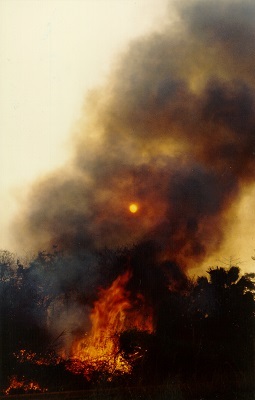 A method has been developed in collaboration with the Brazilian National Space institute (INPE) to map fire-induced forest degradation in Brazilian Amazon (Shimabukuro et al., 2015; Miettinen et al., 2016). 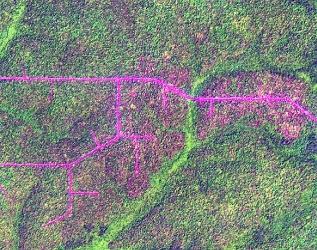 Further developments will focus on the throughout design of (sample-based or wall-to-wall) mapping of (sub-) national forest degradation (/disturbance) in the humid forest domain and the adaption of the methods to other forest types. Towards Operational Monitoring of Forest Canopy Disturbance in Evergreen Rain Forests: A Test Case in Continental Southeast Asia. In: J. Delincé (ed. ), Handbook on Remote Sensing for Agricultural Statistics (Chapter 7). GSARS: Rome. 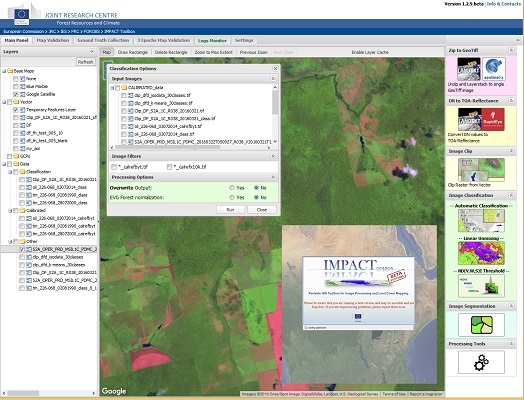 First assessment on the potential of Sentinel-2 data for land area monitoring in Southeast Asian conditions. Asian Journal of Geoinformatics 15: (1) 23-30. Can recent pan-tropical biomass maps be used to derive alternative Tier 1 values for reporting REDD+ activities under UNFCCC?